Hello and Welcome to our auction for a fabulous Antique Item……. 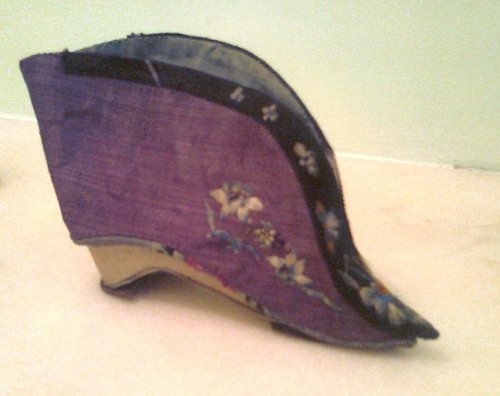 C 1880 Chinese Embroidered Silk Shoe made for a lady with the Qing customary bound feet. This was brought home from China early in the 1950’s and the story is that the lady who sold it would only sell 1 and wanted to keep the other because it was her last possession that belonged to her grandmother. 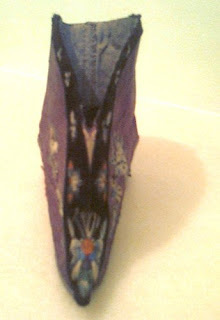 The embroidery is as beautiful as the silk is delicate. On one side we can see a phesant with starflowers and on the other a carp among lillies, flowers grace the tip and embroidered rim. We will be pleased to post this treasure FREE OF CHARGE anywhere in the world to it’s new home. Please ask any questions you like or share any knowledge using the “ask a question” button and we will be pleased to answer promptly. We are selling family items from our family estate as well as items from our club associates. Everything is described as accurately as possible but the photographs do not usually do the items justice, please ask any questions you like, prior to bidding, or share any knowledge using the "ask a question" link. Please see Recent Feedback from our Valued Customers below. Thank you all, we do appreciate you and your kind comments. Whenever I read "but corsets hurt!" all I can think of is a) you aren't wearing it properly and b) corsets were nothing compared to what Chinese women had to endure. In the West, if you didn't wear a corset, you didn't have to. You'd be laughed at but that would have been it. You wouldn't be shunned or cast out by your friends. They'd tease you but there were plenty of good reasons not to wear a corset for some people. For nearly 1000 years, upper class Chinese girls had their feet broken in three places when they were as young as 3 years old. 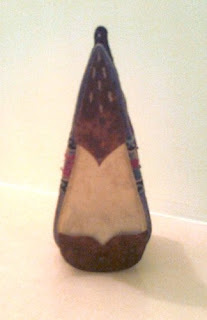 First, they broke the heel, crushing it to pull the bones under. Second, they crushed the toes, leaving on the big toe unscathed. Third, they - the "they" typically being your Mom and another relative- broke the top of the foot in half, pushing the part of the foot with your broken toes up over the broken the piece with the broken heel. 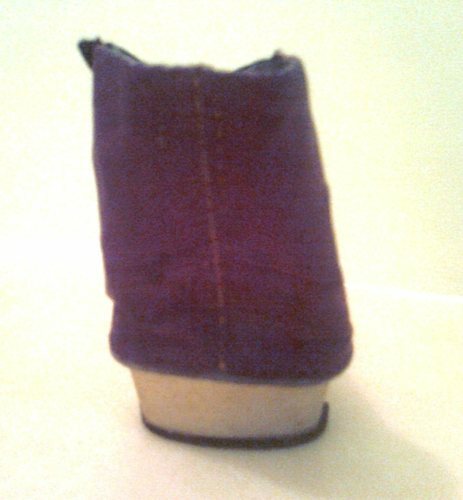 Your feet were then wrapped like this with cloth until they healed in this mangled position. Then, you could change the bandages for new ones - constantly keeping your feet wrapped to prevent them from ever growing again. This is what Locus feet were. This is what Chinese girls were forced to endure. On their very mangled feet, they wore beautiful shoes such as the ones above. 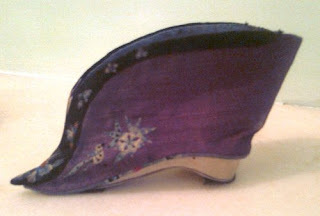 The shoes were embroidered and typically no longer than four inches long. This is what pain looks like in fashion - not a corset. You have no choice when you are 3 if you want your feet bound or not. And if they weren't, you couldn't marry - no future and considered a "burden" on your family.